AHRQ reports on "Innovations in Using Health IT for Chronic Disease Management" across a portfolio of health IT applications including clinical decision support, health information exchange, telehealth and hospital information systems. "We found no dominant technology application... The portfolio demonstrates that a variety of health IT applications have the potential to transform the quality and safety of care for some of the Nation’s most severely ill patients. Despite several challenges associated with developing and implementing health IT for chronic disease management, information technology can be used to improve clinical processes. Technology also can facilitate better knowledge sharing and support improved communication and coordination across care settings." NCVHS hears from leaders on the definition of meaningful use including physicians, the Markle Foundation (and 60 supporting organizations), Agency for Healthcare Research and Quality (AHRQ), College of Healthcare Information Management Executives (CHIME), American Medical Informatics Association (AMIA), HIMSS and a broad range of other industry leaders. Carolyn Clancy, AHRQ Director, says that healthcare organizations should prepare now by using health registries to manage the health information of patients with chronic diseases. Wall Street Journal reports on an "affordable fix for modernizing medical records", the VA's Vista system. Dr. David Blumenthal, National Coordinator for Health IT, believes that healthcare technology has not advanced sufficiently "when left exclusively to the private sector, so there is a public role." American Public Media's Markeplace reports that investment in "health care information technology is holding its own. Investors are following the $20 billion in President Obama's stimulus plan to upgrade and modernize health records." The Use of Health IT in Crisis Control interviews Dr. Nathaniel Hupert, Director of The Preparedness Modeling Unit for The Centers for Disease Control and Prevention (CDC) and Associate Professor of public health and medicine at Weill Cornell Medical College. Coordination of Care by Primary Care Practices: Strategies, Lessons and Implications reports that "while there was no single recipe for coordination ... some cross-cutting lessons were identified, such as the value of a commitment to interpersonal continuity of care as a foundation for coordination." Medical home initiatives "if aligned with payment incentives ... have the potential to increase quality and satisfaction among patients and providers by helping to move the health care delivery system toward better coordinated care." Archives of Internal Medicine reports that "computerized medication reconciliation tool and process redesign were associated with a decrease in unintentional medication discrepancies with potential for patient harm. Software integration issues are likely important for successful implementation of computerized medication reconciliation tools." Health Care Policy and Marketplace Review has maintained a laser focus on the need for healthcare reform to result in real savings. In his latest post, Bob Laszewski contends that "health care reform means fixing the system so we stop spending/wasting so much more than every other industrial nation on health care thereby making our system more affordable and effective." In earlier posts, he referenced two December 2008 CBO reports on the potential savings associated with various reform programs: Key Issues in Analyzing Major Health Insurance Proposals and Budget Options Volume 1 Health Care. "If the CBO just rolls over and lets Congress make up excuses just to spend more for health care we will not have reform--we will only have a bigger fiscal disaster on our hands. How do you reform entitlements by pretending?" The AMA announces initial partner agreements to provide a secure AMA portal offering a variety of practice management services. Computer modeling predicts the spread of swine flu. One of the algorithms is rooted in human contact models derived from Where's George? which tracks the passage of one dollar bills from person to person. Real Healthcare Reform: Changing the Incentives and the Rules of the Game; Creating an Electronic Health Record for Every Citizen Who Wants One. If you have the financial resources of Bill Gates or Warren Buffett you needn’t pay money to a health plan each month, since if you get sick or injured – even very seriously - you have more than enough money to pay all your medical bills yourself. But those of us with significantly less financial resources must find some other means of dealing with the thousands or even hundreds of thousands of dollars or more of medical expenses that we might incur should a serious illness or injury be our fate. Large numbers of individuals and/or their employers pay some money each month into one or another big pot called a “health plan”. Those individuals who remain essentially very healthy for many years and then suddenly die or perhaps leave a particular health plan for some other reason – if they have put more money into the pot than was taken out to pay all their medical expenses - wind up helping to pay the medical bills of those members of the health plan who become seriously ill or injured and incur a lot of medical expenses. Many members of health plans don’t seem to fully understand or perhaps choose to ignore the fact that if they become seriously ill or injured, for the most part their medical bills will be paid by the members of their health plan who have remained healthy. Some Americans believe that healthcare should become a “right” of every American citizen. If a nationalized single payer health plan were enacted, every American citizen who became ill or injured - for whatever reason - and incurred significant medical expenses would for the most part have his or her medical bills paid by all U.S. taxpayers. Currently we are experiencing continual increases in healthcare costs that are unsustainable and which, if unchecked, will soon seriously threaten the future of the entire American economy. Healthcare costs must be controlled, but how? If a healthcare system made up of health plans is going to have a chance of meeting the needs of its health plan members and simultaneously be able to keep costs under control, something very critically important must first occur. It turns out that a lot of illnesses and many injuries are actually preventable. Much to the contrary. Other than the actual members of a health plan – patients and potential patients - and their employers and perhaps the employees of some health plans, most participants in our sickness and injury care system - because of the way they are paid - have an enormous (if unspoken) financial incentive for massive amounts of disease and injury – much of which is preventable – to continue to occur in America. Strictly from a financial point of view, for those whose incomes come solely from the treatment – not the prevention - of illness and injury, the more illness and injury that occurs, the better. And if the illness or injury is serious and requires perhaps many expensive tests, multiple surgical procedures, and other very complicated prolonged treatment in an intensive care unit, so much the better; just as long as those unfortunate individuals who happen to be ill or injured are “covered” by “good insurance”, i.e. 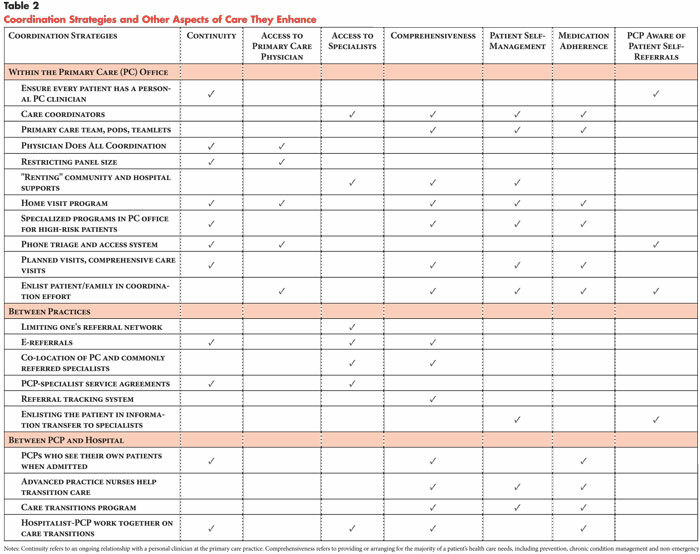 health plans that are reliable bill payers. This is not to say that there are not some excellent very dedicated and hardworking doctors and other health professionals - although they are paid on a fee for service basis to care for illness and injury – who nevertheless attempt to essentially work themselves out of a job by making health promotion and disease and injury prevention a top priority with their patients. It should also be recognized that some existing health plans – e.g. Kaiser and Group Health - combine insurance, doctors, and hospitals into a single entity in such a way that provides everyone - including all the health plan’s doctors - a real incentive to spend time and effort with patients on health promotion and disease and injury prevention as well as on early diagnosis and treatment. But unfortunately the above examples represent only a small part of the sickness and injury care system that currently exists throughout America. For the most part - because of the way they are compensated – the majority of doctors and other professional providers, acute care hospitals and long term care facilities, pharmaceutical manufactures and pharmacists, medical and surgical equipment manufacturers and personal injury and malpractice attorneys - among others - depend mightily on massive amounts of disease and injury occurring in America; and these participants in our sickness and injury care system would be significantly negatively impacted if a lot of the preventable illnesses and injuries were actually prevented. This must be changed. To really reform healthcare we must find ways – through changes in incentives and the rules of the game - to actually prevent what is preventable, to maximize early diagnosis and treatment, and minimize disease and injury with all its associated cost. We must find ways for participants to be part of our “healthcare system” and not just a part of our “sickness and injury care system”. One significant part of this process is developing the capability of creating an electronic health record for every American citizen who wants one. We need a standardized framework that will allow every American citizen to have an individual electronic health record – a computerized medical record - that can be accessed by all the doctors who care for a particular individual, regardless of wherever on the planet the doctors or the patients happen to be. It would be like having your own personal online banking account that only you have the password to, but which you can share with the doctors who are caring for you, wherever you or they may be. I applaud those who are using their energy and expertise to upgrade our deplorable current paper medical records system and bring medical records in America into the 21st century. Developing a standardized framework for an electronic health record - for every citizen who wants one – created by your doctor with your assistance, with proper security and safeguards - is something that our national government can and should do as a part of healthcare reform. All this requires action, not just words. Now is the time for Americans and their leaders and doctors and other health professionals to step up to the plate and begin the process of transforming our “American Sickness and Injury Care System” into an “American Healthcare System” that is worthy of our great country.